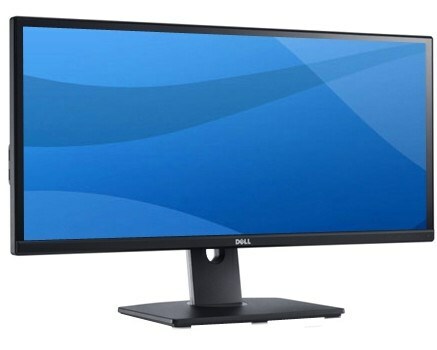 Details leaked about the U3415W, an upcoming 34" 21:9 LCD display from Dell that features a 3440 x 1440 pixel resolution. The new U3415W from Dell offers a native resolution of 3440 x 1440, which has the same Y-axis as WQHD (2560 x 1440 pixels), albeit much wider. Basic math would tell you that it's still a staggering 40 percent lower pixel count than Ultra HD. The U3415W reportedly features an IPS LCD panel made by LG. The display should offer a decent middle-ground between currently $400-ish 27-inch WQHD monitors, and four-figure >30-inch Ultra-HD ones taking shape.